If you are not fortunate enough to already have a 3D printer in your home, you will want to locate a printer service to print your case. Therefore you should set some parameters before beginning the actual construction using the CAD program. The questions to answer are many: Which service provider should you select? How exact is the printing process in terms of size? Which materials should be used? What should the thickness be? What are the available colors and delivery times? What are the costs? An online search for 3D printing service providers yields a large number of providers. Although some do not serve the end user, some that do include UPS , Shapeways , and Sculpteo . 3D Hubs , another marketplace for end users, is a collection of startups and enthusiasts who want to earn money by doing print jobs for a fee. On this site, you will find information about local providers. Ideally, it will be possible to pick up the print job yourself instead of having it delivered. In terms of price, the providers seem to have similar offerings. Costs are set according to the material and the thickness of the layers, starting at 45 cents per cubic centimeter of printed substance. 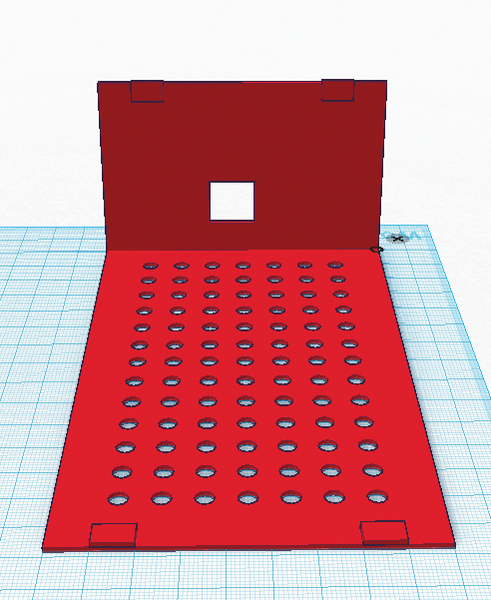 The Rasp Pi case in my example has a surface of 9 by 15cm and is 6cm high. Therefore, the material costs came to between EUR25 and 50 (~$27 and $55) although your local provider cost may vary). After uploading the CAD files, the provider you have selected will make a cost estimate. Most printers do this online, which helps you arrive at a cost estimate for the entire project. Once the basic questions are clarified, it is time to begin the construction. This process is perhaps less straightforward than you might think because of issues posed by cables and other components – no matter how the cube is rotated and turned. 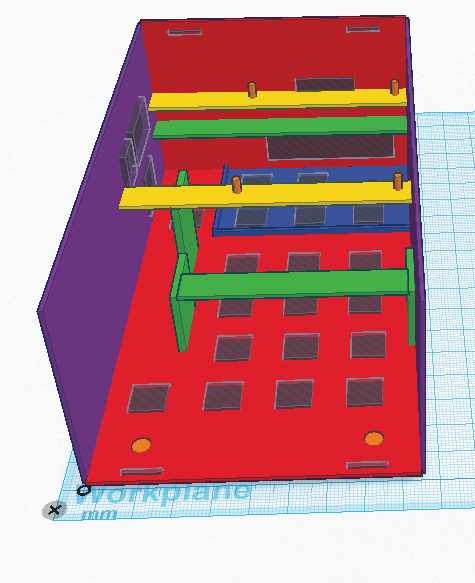 The simplest approach would be a flat design with the Raspberry Pi, USB hub and hard drive on the same level. However, this type of construction would not be stable, particularly if there is any warping. Heat issues would best be addressed by a vertical arrangement. However this causes problems in attaching the Pi. Nevertheless, the end result of all the considerations was to settle on a design that places the components on top of one another. Because the Rasp Pi is smaller than the hard drive, it was placed near the top because of temperature concerns. The hub was placed at the bottom of the arrangement, strictly because of the cable layout. The hard drive determines the width of the construction. For the case to accommodate the various cables sprouting from the computer, the case had to be made wider and longer than the components, which involved creating the case in two parts: an underside with three side walls (Figure 5) and a cover, which includes the fourth side wall (Figure 6). This arrangement ensures that the interior remains accessible for assembling all of the parts. The side walls have holes for the cables that lead out of the case. Figure 5: A compromise on the final case design was necessary, to take stability and cooling needs into account. Figure 6: The cover to the case requires a mechanism so the case is easy to open. The cables disappear inside the case, where they are then connected. Although not exactly optimal, an alternative solution did not reveal itself. The colors in Figure 5 identify the independent parts of the construction. Before exporting the 3D model, you should use the grouping function to collect all of the parts. The print job will then be monochromatic.